Is it mandatory for a start-up to register as a company? No, but it is beneficial. A company registration which incorporates your brand does not mean that your rights are secure. This can be done by applying for a trade mark. A trade mark identifies the brand owner of a product or service. A trade mark can take just about any form provided that it is distinctive and capable of being represented graphically. A logo, name, signature, word, letter, numeral, shape, configuration, pattern, ornamentation, colour or container for goods or any combination of these, qualify as trade marks. By registering your trade mark you can prevent others from counterfeiting your goods and benefiting unlawfully from your brand equity. What cannot be registered as a trade mark? A trade mark that is descriptive of the products or services would not be capable of distinguishing and not qualify for registration. A descriptive trade mark is WORLD WIDE COURIERS for international courier services or ALL NATURAL for textiles of natural fibres. You may use it but most likely, so can others. As a rule of thumb, you should not use commonly used words as a trade mark. If your trade mark describes the quality, quantity, intended purpose, value, geographical origin or other characteristics of your products or services, it would also not qualify for registration. Trade marks must not be misleading or offensive. You should not use words such as ORGANIC or HEALTHY for products that are not. Avoid trade marks that look too similar to state symbols such as flags or hallmarks. Invented trade marks like KODAK for cameras, DULUX for paint and XEROX for copiers are distinctive trade marks. In general, the stronger or more distinctive the trade mark, the easier it is to register and protect. Why is it important for a trade mark clearance search to be conducted? The search will provide assurance that when the brand enters the market, there will be no infringement on the rights of others which will prove expensive to defend. Usually five to seven working days but we can also carry out the exercise on an urgent basis, if required. What information is required to file a trade mark? The full name, physical address and nationality of the trade mark owner; details of your products or services; details of what you want to register – slogan, logo, or names etc. and supporting documentation. What is the trade mark classification of products and services? A trade mark is filed consistent with a prescribed classification e.g. class 25 for clothing, footwear and headgear, class 36 for financial services and class 39 for transport services. The classification is an international one used in most countries. The classification determines the extent of your trade mark protection. What happens after a trade mark is filed? After filing a trade mark application, it will be examined by CIPC which will decide whether the trade mark is distinctive and if there is any conflict with existing trade marks on the register. It takes at least twelve months before a trade mark is in line for examination. At examination, an official action is usually issued. 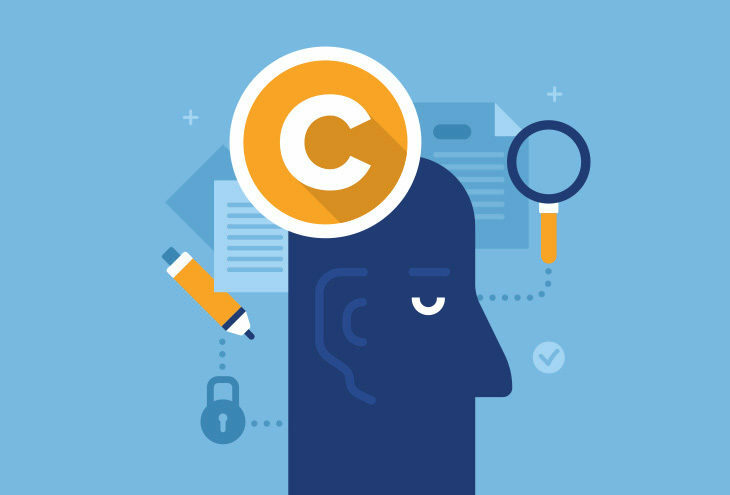 CIPC will state whether it will accept the trade mark through to registration and under what conditions, or whether the trade mark does not qualify. If no hurdles are met or if they are overcome, a notice of acceptance is issued. The trade mark will be advertised in the Patent and Trade Mark Journal. At advertisement, the application is open to opposition by interested parties for a period of three months. If there is no opposition, after the three months has expired, the trade mark will proceed to registration. How long before a trade mark is registered? Does a South African trade mark registration provide protection in other countries? No, trade marks are territorial. However, under the provisions of various treaties a South African trade mark may be used as the basis for filing applications to register a trade mark in other countries. The requirements from country to country are too complex to discuss here. If you are interested in obtaining trade mark registrations in other countries, contact us for further information. Ten years, counting from the date of filing and can be renewed every ten years in South Africa. As long as it is renewed and used properly, it can last indefinitely. It is compulsory to register a trade mark? No, but registration has several advantages, including notice to the public of a claim of ownership of the trade mark, a legal presumption of ownership nationwide, and the exclusive right to use the mark on or in connection with the products or services described in the registration. Registration will make it easier to take action against unauthorised use of your trade mark by others in your industry. You can also take action again counterfeiters. What does ™and ® mean? The symbol ® is used to indicate that a trade mark is registered. If the symbol is used with a trade mark which is not registered, it would constitute an offence under the Trade Marks Act which bars the use of any words or letters which might falsely suggest that a trade mark is registered. It is beneficial to use the ™ while your trade mark is in the process of registration. In today’s e-commerce environment it is essential for a start-up to have an Internet presence. Business partners, possible investors and potential employees should effortlessly find out more about your business and the products or services you have to offer. Can a domain name be registered as a trade mark? Yes, if you are using the name of your website to identify your products and services and it is distinctive. It must not be a common term that describes the purpose of the website. Your domain name should reflect your trade mark or company name. Spoor & Fisher is a proud Partner of the NSBC.